The LIGO Hanford Observatory in Washington State. In physics circles a sense of déjà vu is setting in—breathless headlineshave recently championed a possible discovery of gravitational waves, or ripples in the fabric of spacetime. Less than a year ago the same thing happened, although that time the team behind the Background Imaging of Cosmic Extragalactic Polarization 2 (BICEP2) experiment claimed a discovery that turned out to be a mistake. 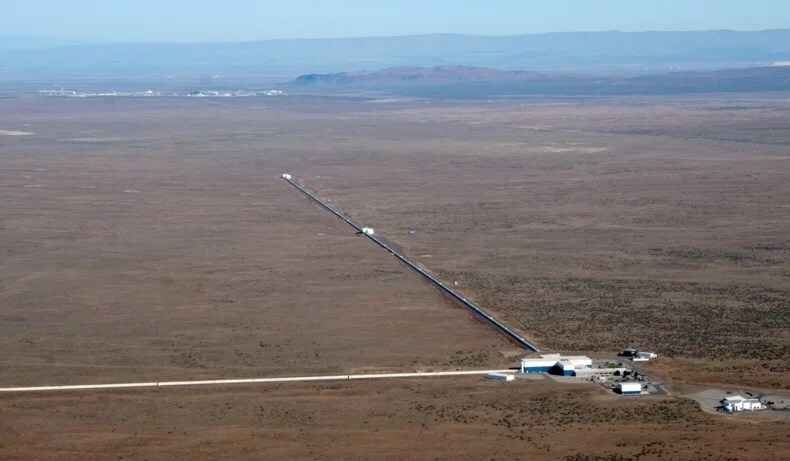 Time will tell if the new potential detection, about which rumors have swirled in lieu of any official announcement by the Laser Interferometer Gravitational-Wave Observatory (LIGO), will turn out to be real. If it is, though, we are talking about a different kind of gravitational wave with very different implications for our understanding of the universe. The gravitational waves LIGO is looking for are thought to arise every so often in the modern universe around us. BICEP2, on the other hand, targets primordial gravitational waves born in the very early universe. Based at the South Pole, BICEP2 studies the cosmic microwave background (CMB) light released just some 380,000 years after the big bang and looks not for the waves themselves but for a signature they might have left in the light. The telescope is searching for imprints in the CMB of gravitational waves that might have been created if the universe ballooned rapidly in size immediately after its birth, as predicted by a theory called inflation. According to inflation, tiny random quantum fluctuations in spacetime would have stretched along with the universe, producing gravitational waves that would have left polarization—that is, a special orientation of the light waves—in the CMB. In April 2015 the team announced, to much fanfare, that they had discovered this polarization. But later studies revealed that what they saw is most likely contamination from nearby dust in our galaxy.